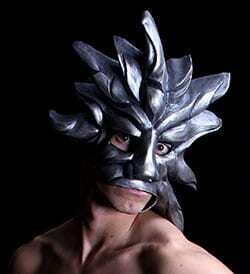 This Costume Mask would be great for Mardi Gras. It is like the cold sun from January through March in the north and what better than to have the northern sun shining bright at Mardi Gras. Oh, and this mask looks great hanging on a wall. Hang it on yours! !